Journal of Economic Studies, 42 (1), pp. 68 - 100, 2014. – The purpose of this paper is to investigate the impact of liberalisations policies on income inequality in African countries. Examining whether the liberalisations policies have affected the income distribution of everyone equally or they only assist those who are already relatively well off; leaving the poor behind. The authors also examine how they affect income distribution in the various countries within the continent, and their effect on short and long runs? – First, The authors used the before and after comparison, to examine the response of the level of income inequality and the volatility of income inequality from the time that financial or trade liberalisations took place in each country. 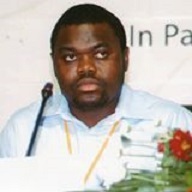 Next, the authors used the panel data techniques model for a sample of 26 African countries spanning the period 1996-2010 to investigate the effect of liberalisation policies on income distribution. – The authors find that financial liberalisation has a levitated income-redistributive effect with the magnitude of the de jure measure (KAOPEN) higher than that of the de facto measure (FDI); that exports, trade and “freedom to trade” have an equality incidence on income distribution; and that institutional and/or political liberalisation has a negative impact and; economic freedom has a negative income-redistributive effect, possibly because of the weight of its legal component. – In general, this study provides a variegated picture, findings tend to suggest that overall the reforms have increased income inequality in African countries. It would be risky to prescribe a general policy because of the diversity of the country. However, African countries’ better performance can be attributed to a combination of policies. For example avoiding the Marco price mixture of real exchange rate appreciation and high domestic interest rates; having capital controls and prudential financial regulations which would enable them to contain the negative consequence of capital flows; putting a system in place to direct export between African countries and encouraging sub regional integration agreement. The government should put in place countervailing social policies in order to withstand social coherence and smooth the adverse transition of liberalisation policies. – Three main elements of originality clearly standout: first, the estimation approach used in the paper considers both short- and long-run effects of in empirical strategy; second, an exhaustive plethora of liberalisation policies (trade, financial, political and institutional are considered); and third, recent data are used to appraise second generation reforms for more updated policy implications.